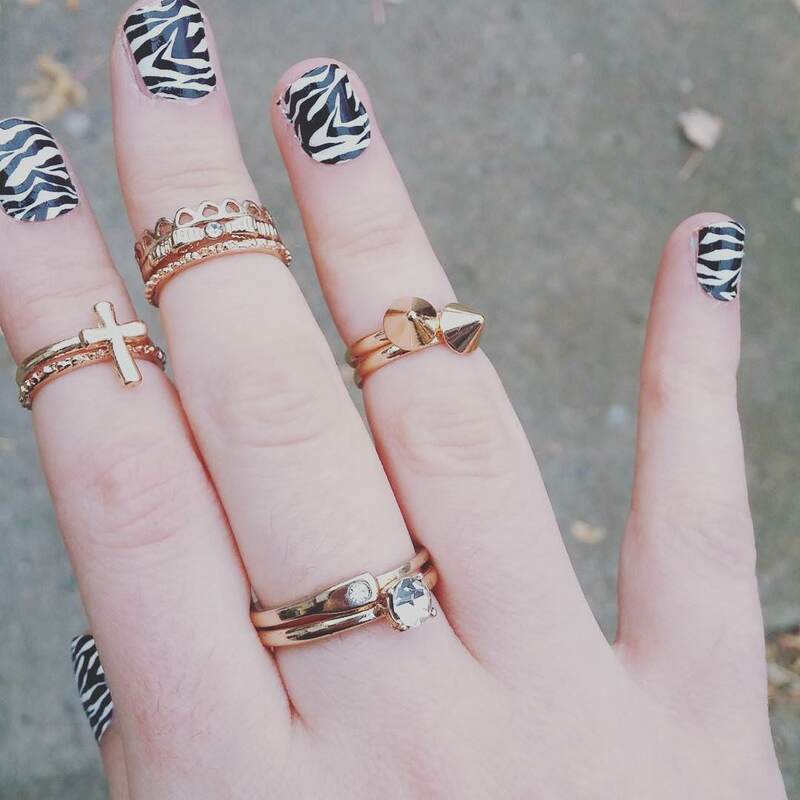 Zebra strips are very hot in the Fashion Industry right now. 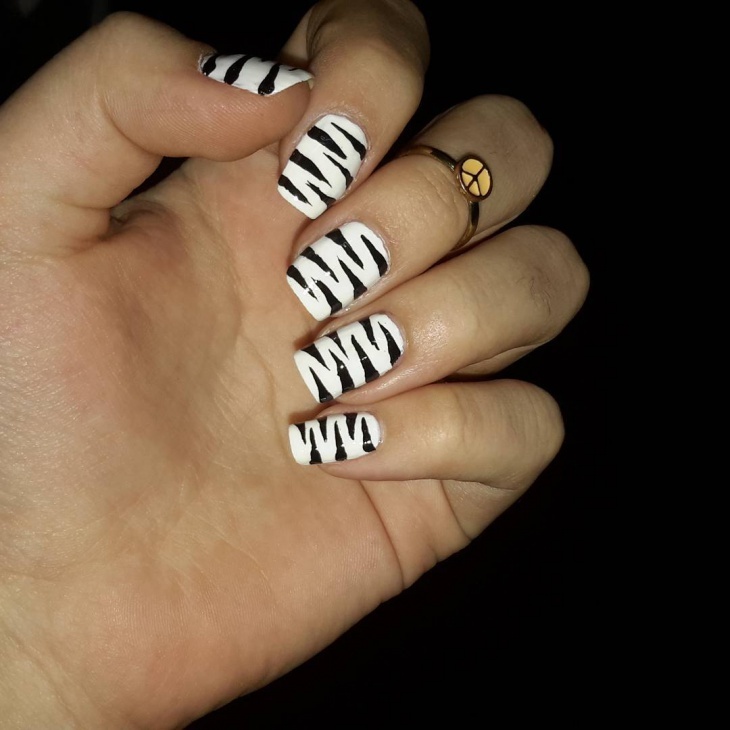 Many designers are representing African fashion into their collection; therefore animal print nails such as Zebra prints give a unique touch for the fashion themes. 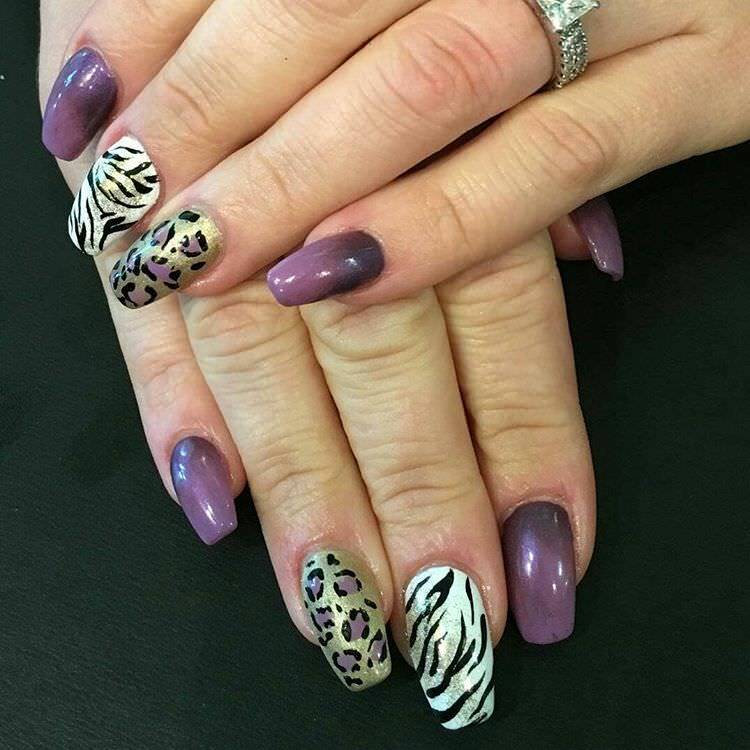 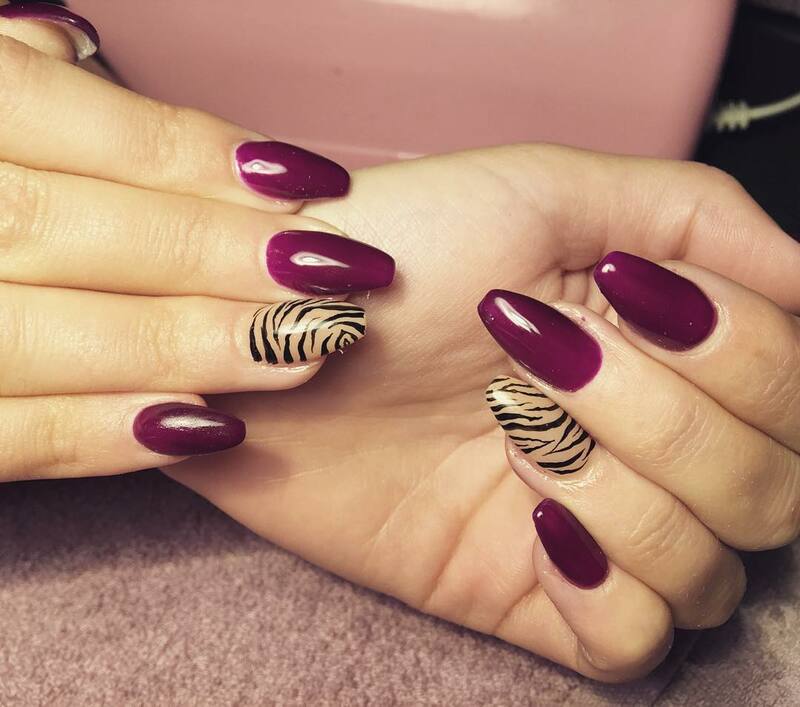 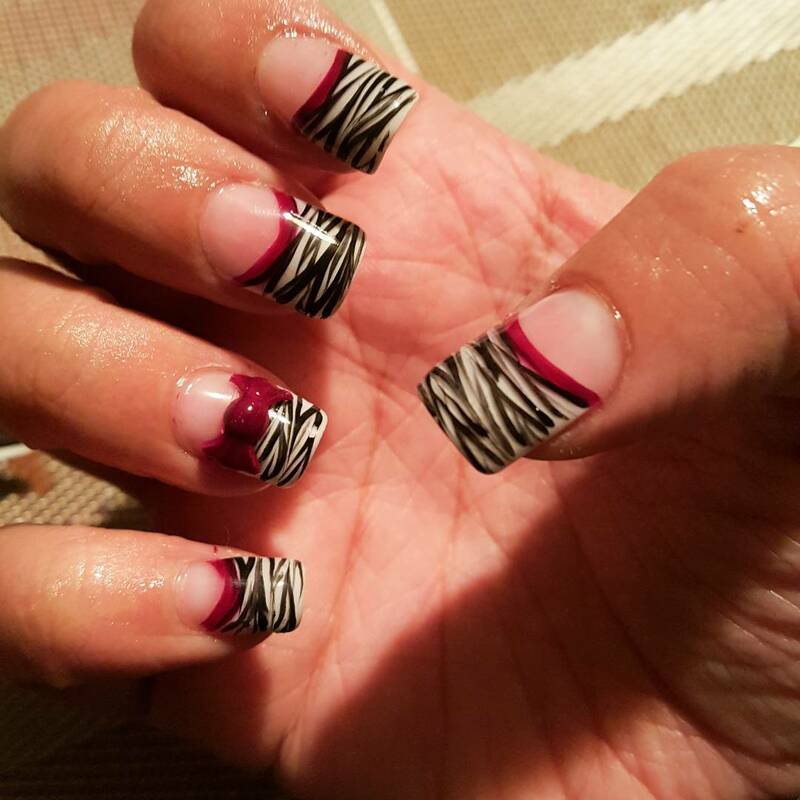 For those looking to sport zebra print nail designs putting something similar on your nails with add a bold, wild-like look. 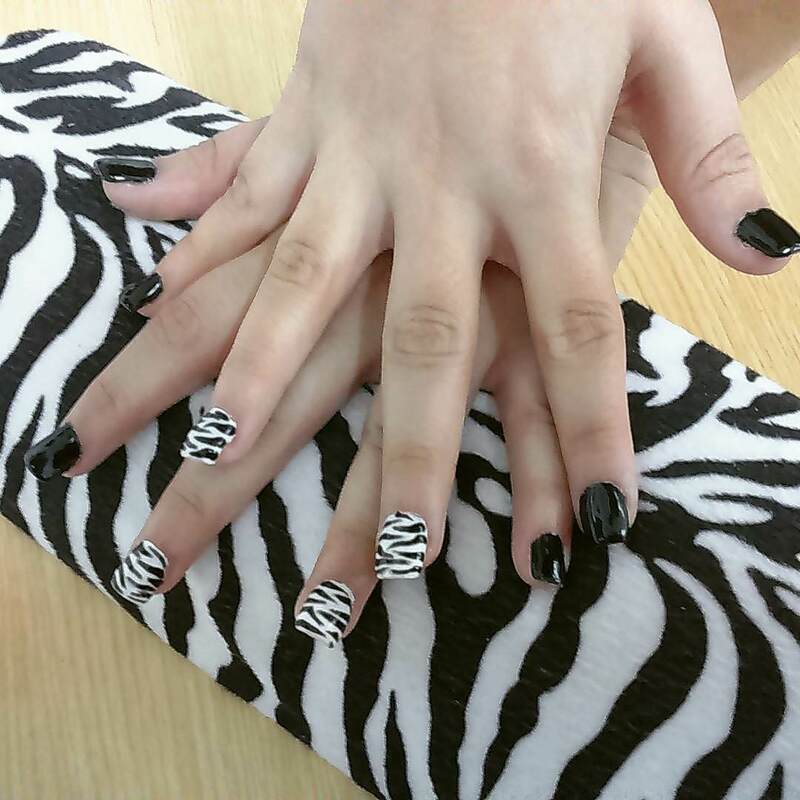 Traditionally, zebra print designs are painted in black and white. 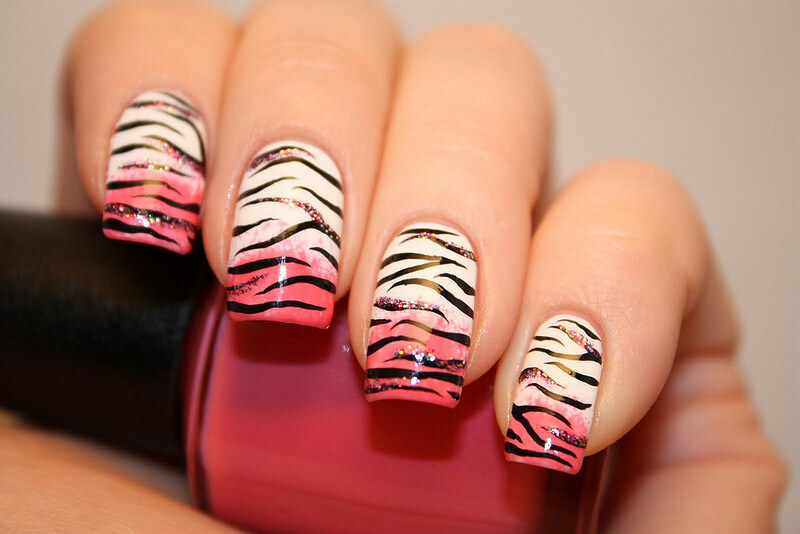 However, anything can go with this animal-print nail trend. 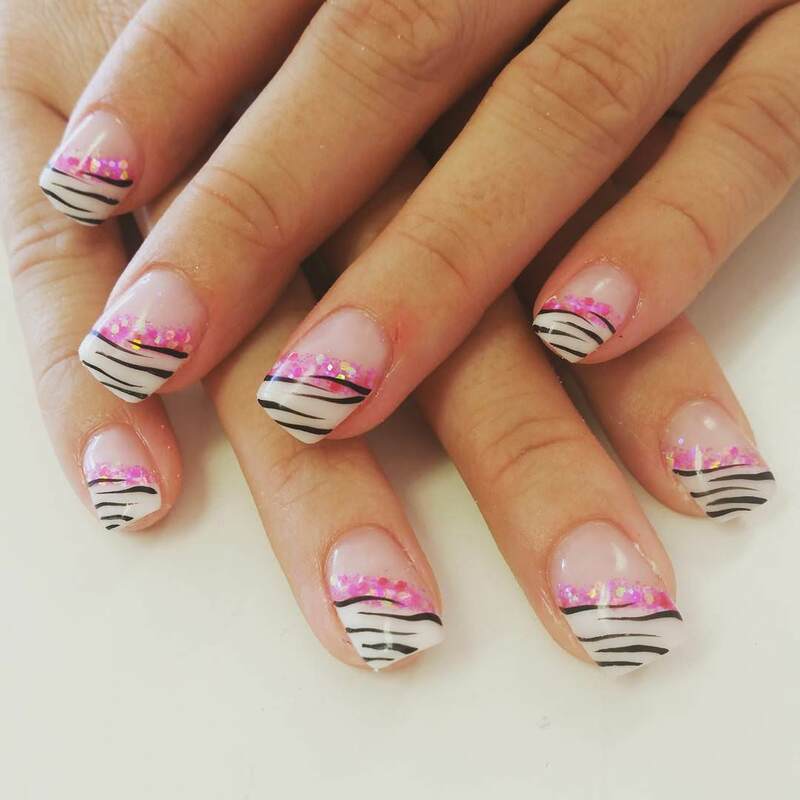 Bright colors such as teal, pink, and green will make your manicure stand out even more, or use a tan or light brown to keep your nails natural and earthy. 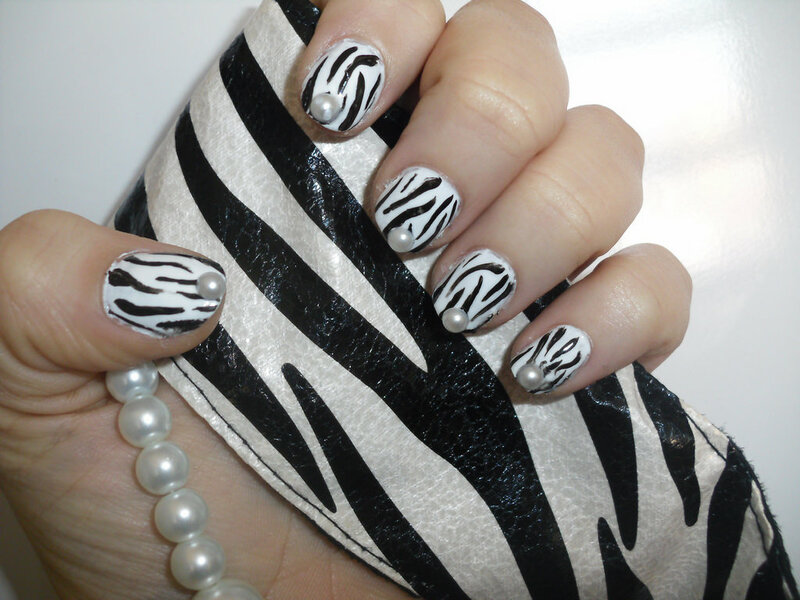 The zebra stripes can be horizontal, vertical or even diagonal, and you can also create the pattern on the French tip. 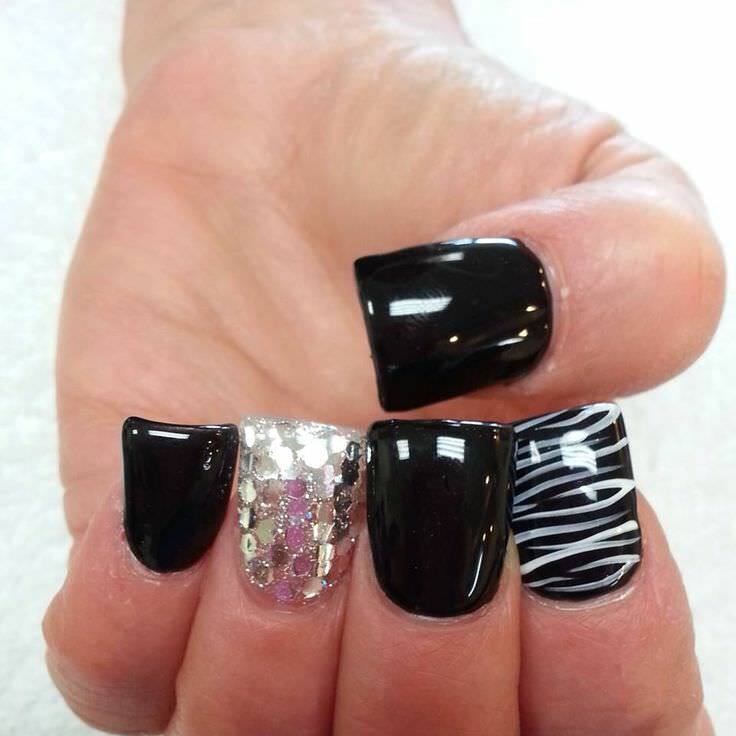 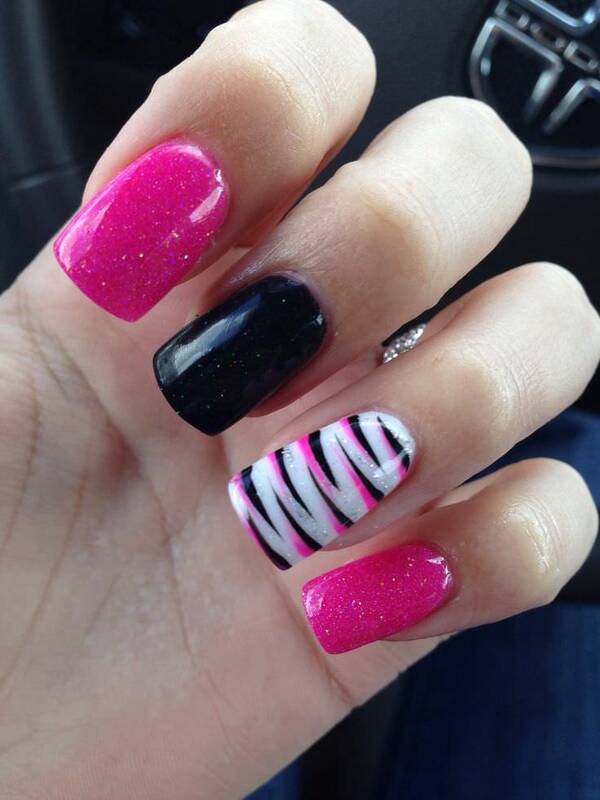 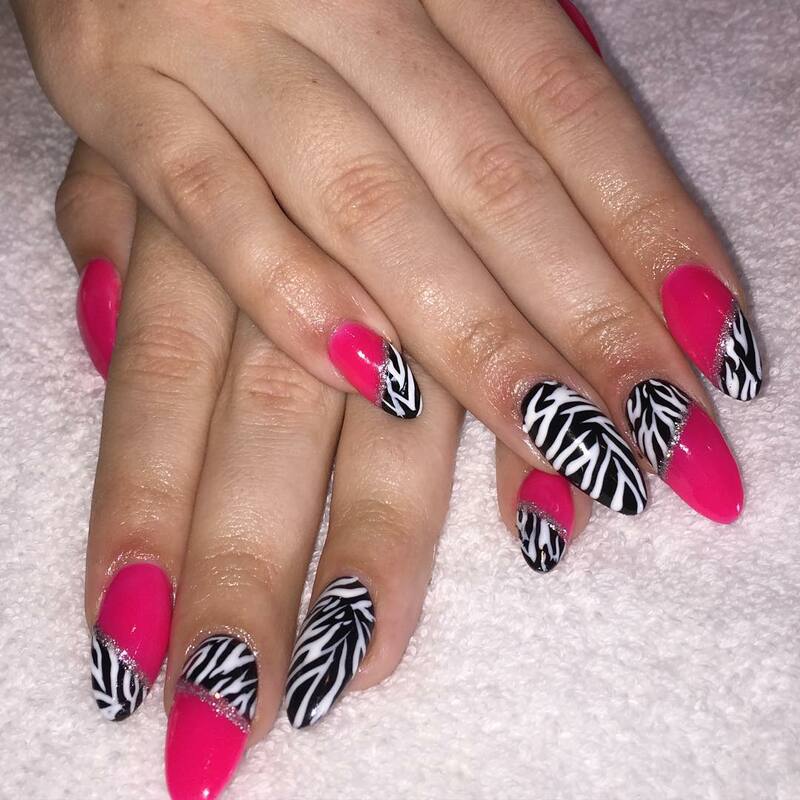 Another favorite trend for zebra nails is to use a rainbow color background with traditional black zebra stripes. 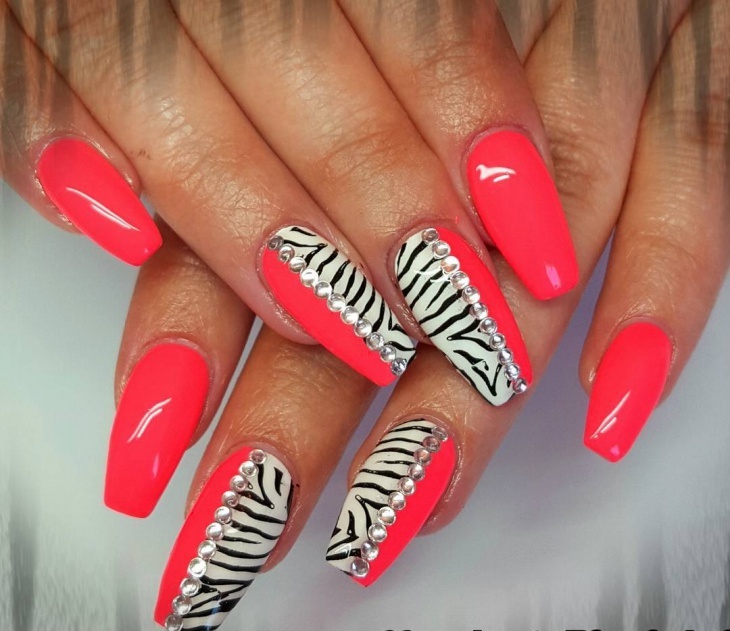 This is a great option for summer as it is really colorful and chic. 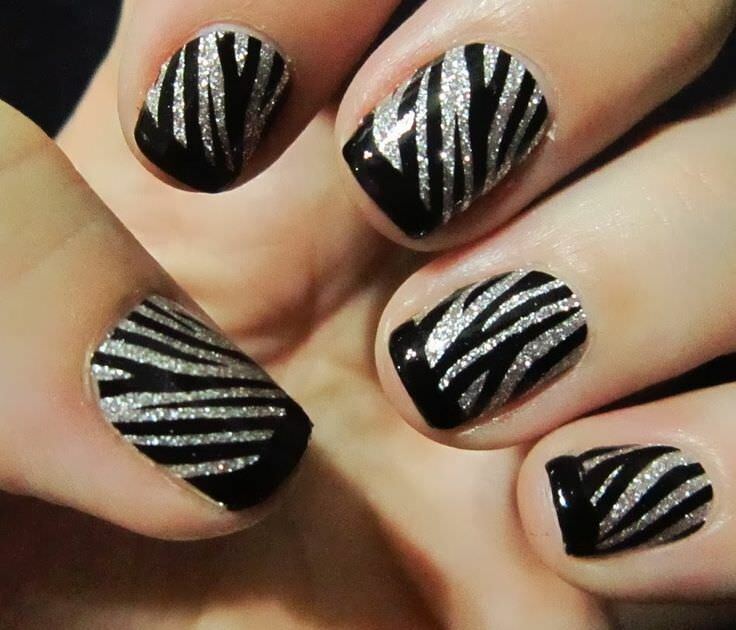 Matte and Gloss zebra nail art is fashion-forward and hot this season. 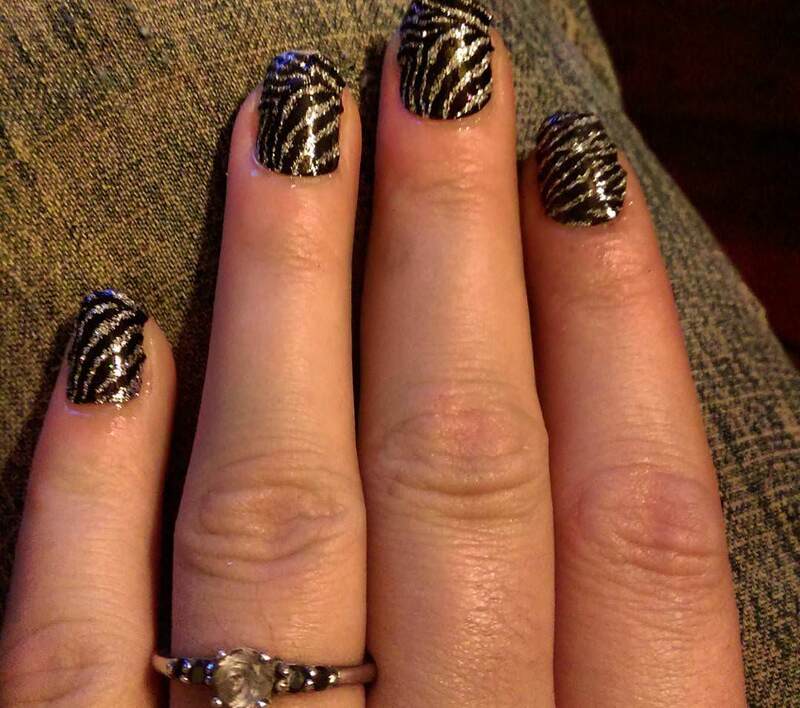 A matte black polish is using for the base with shiny black polish is used for the zebra patterns. 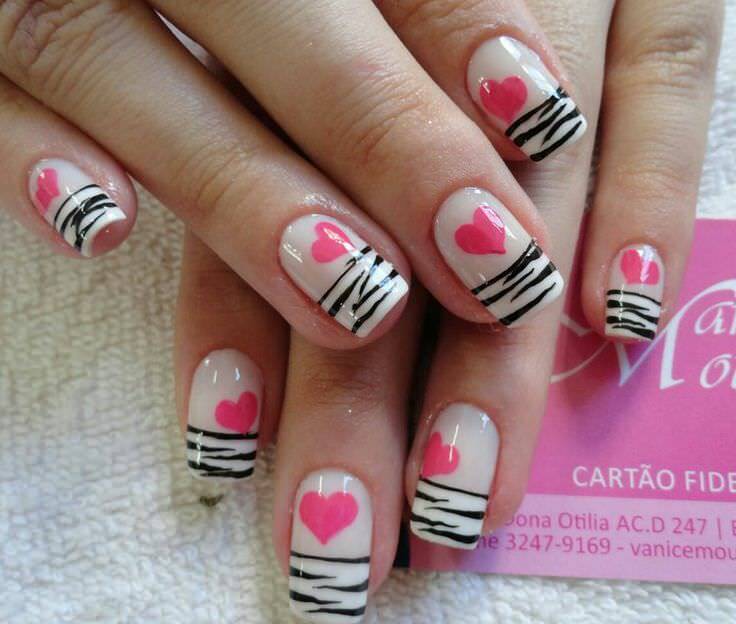 The matte and gloss effect of the whole design creates an effortless, trendy manicure look.